There are many great things to learn about Saint Joseph’s University and you learn a lot when you visit campus. Here are just five underground facts about SJU that not everyone may know. We hope to see you on Hawk Hill soon so you can learn even more about SJU! There is a greenhouse and a turtle pond on the roof of the Science Center. How cool is that? Thanks to Dr. McRoberts and his efforts working with endangered species, we have a variety of turtles hanging out on top of the Science Center. Members of the Biology faculty also use the greenhouse to grow plants that they use for research and in their classes. Sweeney Field is home to some intense snow football games during the winter. Whenever snow hits the Philadelphia area, the SJU campus is transformed into something astonishing. Fresh snow on top of Barbelin makes it appear even more majestic, and in its shadow, students often take to Sweeney Field tossing a football and sliding around trying to score a touchdown. Discounted movie and train tickets are available on the second floor of Campion Student Center. With the City of Brotherly Love at our fingertips, this is a great way to take advantage of it. The city has great food, fun sports, phenomenal concert venues, and plenty more. SJU helps make that even more affordable with these discounted tickets. There are pools in both Hagan Arena and O’Pake Rec Center open throughout the day for student use. Swimming is a great way to change up your routine and have a little fun with friends! SJU has winter, summer, and spring break service immersion trips. 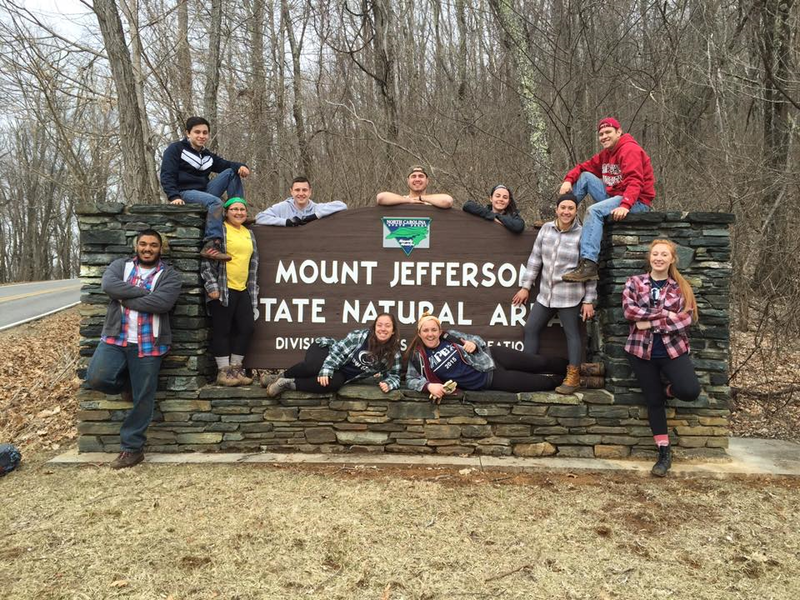 There are 4 major service trips offered by SJU – The Winter Immersion Program, Summer Immersion Program, Collegiate Challenge Program, and the Appalachian Experience. These provide students with the opportunity to go everywhere from West Virginia, to Louisiana, to Washington, to Guatemala. Brendan Gleason’17 is a Biology major from Rochester, NY.